Past performance doing comparable work is the key for making better hiring decisions. Traditional hiring descriptions ignore motivation to excel, potential to grow and fit with the company culture and team. Worse, they ignore the needs of passive candidates who will only engage in conversations if the job appears to represent an exciting career move. This sample performance-based job description for a product manager overcomes all of these problems. Fill in the form below to download this new type of job description. 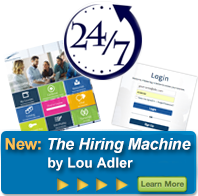 Then be sure to select one of the options below to find out why hiring managers embrace this concept and Harvard Professor Todd Rose, the best-selling author of The End of Average considers it the essential first step for hiring top talent. 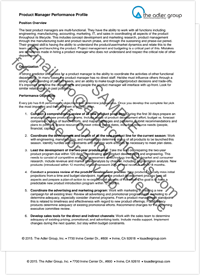 Fill in the form below to download a sample copy of the job description. Be sure to select one of the demo options to find out how the Performance-based Hiring process can be used to make better hiring decisions.